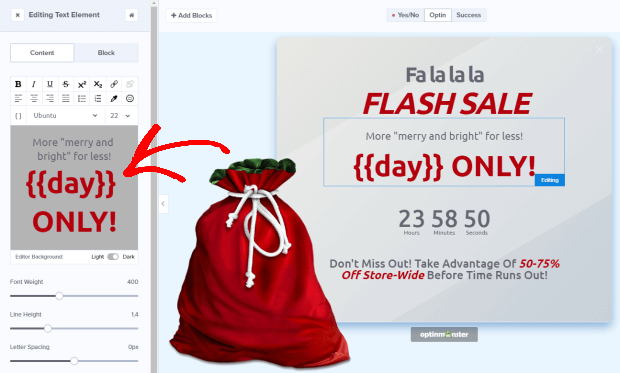 Introducing Smart Tags: Dynamic Personalization Made Easy! Each and every one of your website visitors is unique. 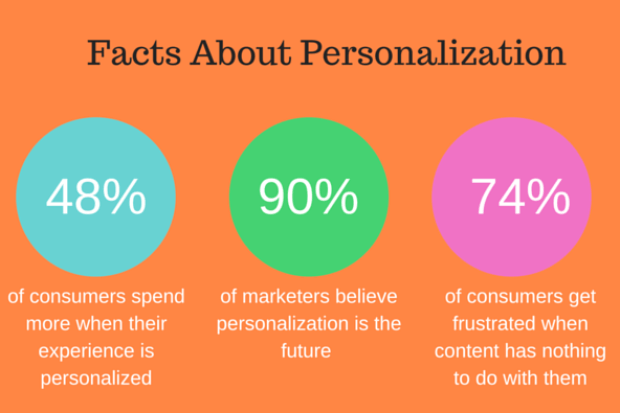 That’s why it’s no surprise that personalized content outperforms static content every time. We’ve seen personalization do amazing things time and again for OptinMonster users like Libratone, who grew their email list 400% by personalizing content based on geolocation, or Expat.com who boosted new memberships to 30,000/month by displaying the visitor’s name and travel location. And now, with the release of OptinMonster Smart Tags, we’ve made personalization easier than ever! Most website personalization tools are difficult to use if you don’t know how to code, and eCommerce personalization tools can easily cost you thousands of dollars a month. And you can even create your own custom Smart Tags by integrating with your email service provider or CRM software to display any information you have stored on your subscribers and customers – gender, age, and basically any other data that you have. The possibilities here are endless. Using Smart Tags in your OptinMonster campaign is easy. 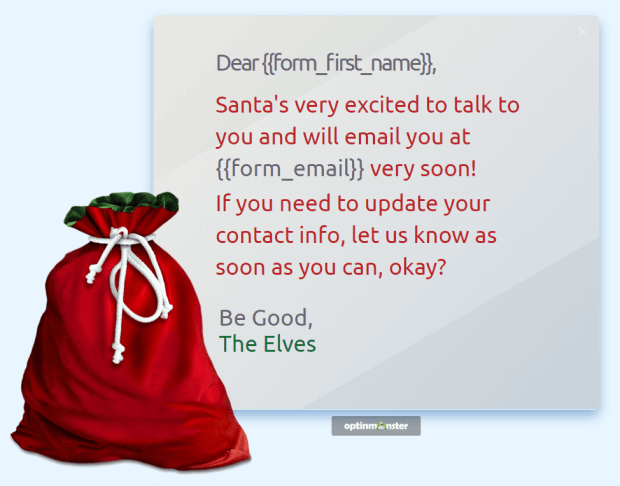 If you’ve ever personalized email campaigns with merge tags, it’s very similar. You only need to select the information you want to display. Here’s just one way you could use Smart Tags to boost sales. 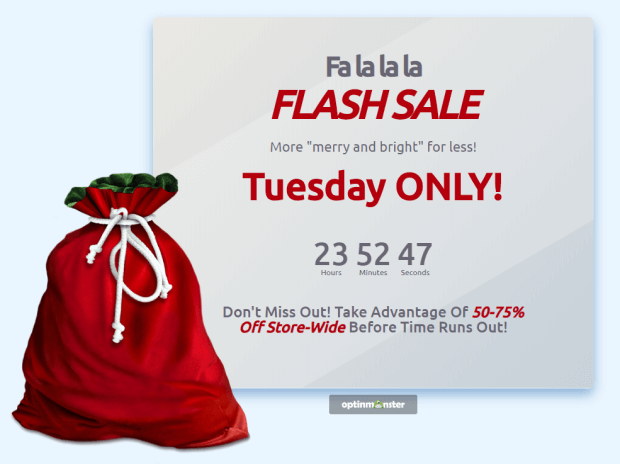 We’ve turned our Tech template into a flash sale notice with an evergreen countdown timer to show urgency. And, with our awesome countdown timer actions, you can even set the countdown timer to restart when the campaign ends so you can extend the sale; your Smart Tags will keep the day current! You can also use Smart Tags to display any data your visitors submit through your optin forms, such as their name, email address, and phone number. Smart Tags open up a whole new level of personalization and customization for your onsite marketing campaigns.